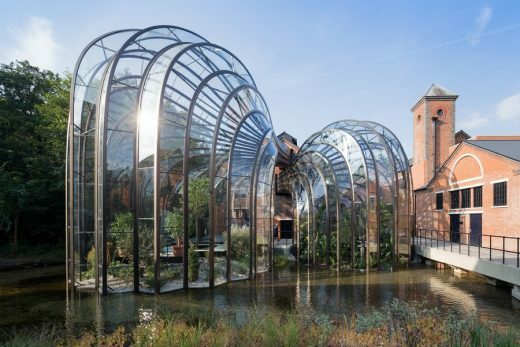 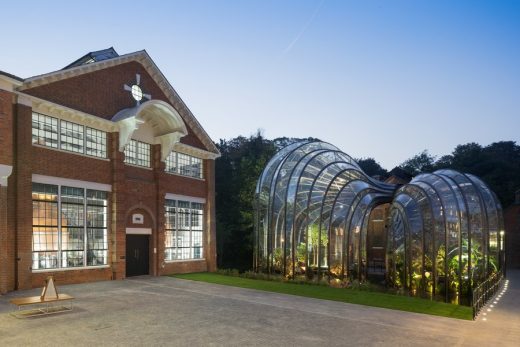 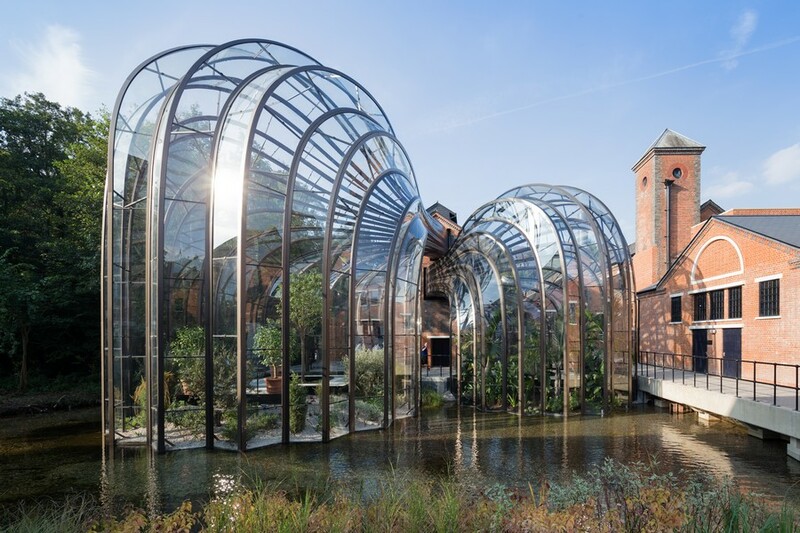 The gin-maker Bombay Sapphire commissioned the creation of the company’s first in-house production facility, which will also be open for members of the public to visit. 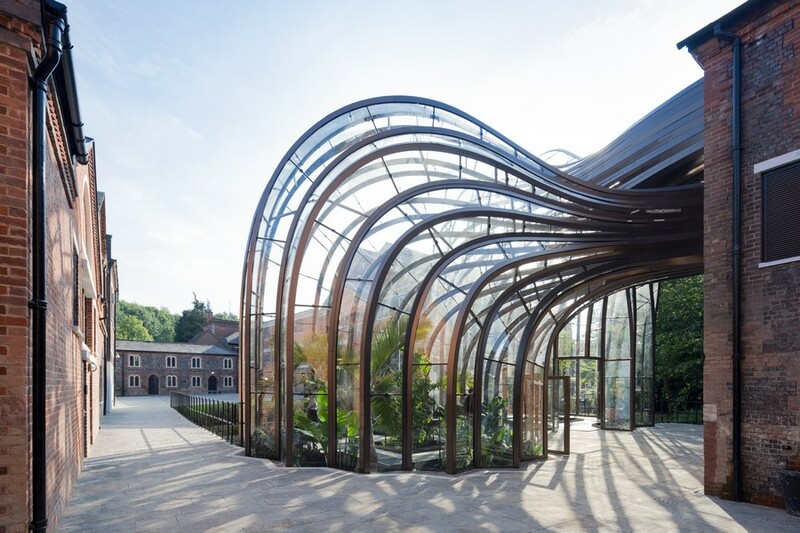 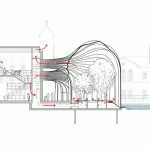 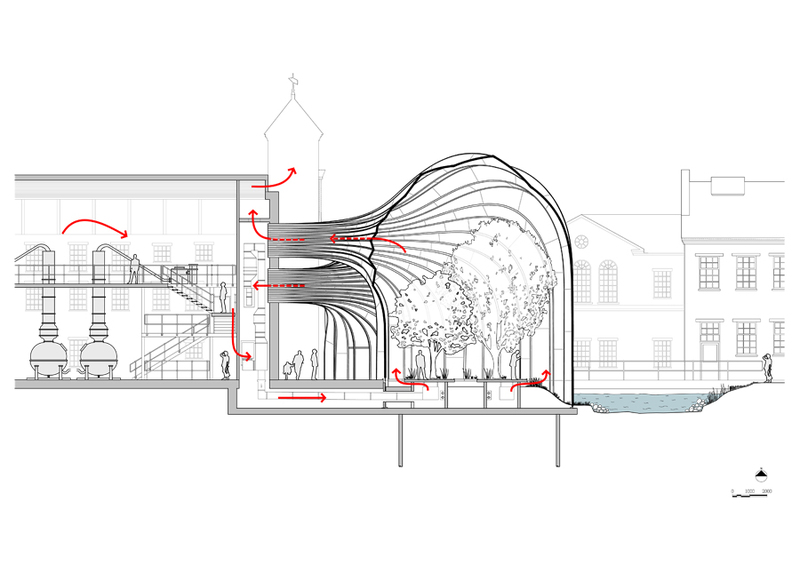 Formerly a water-powered paper mill, the site contained more than forty derelict buildings, many of historical significance, which have been regenerated and restored as part of Heatherwick Studio’s master plan. 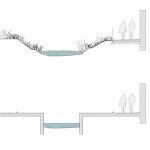 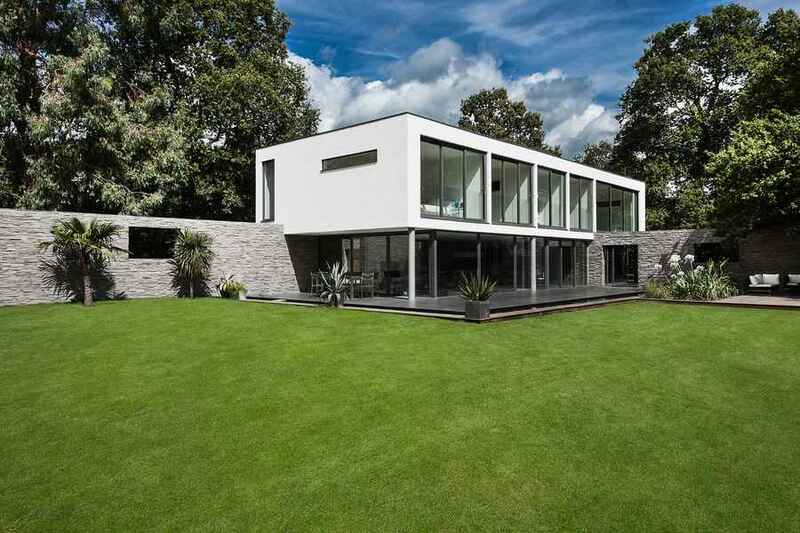 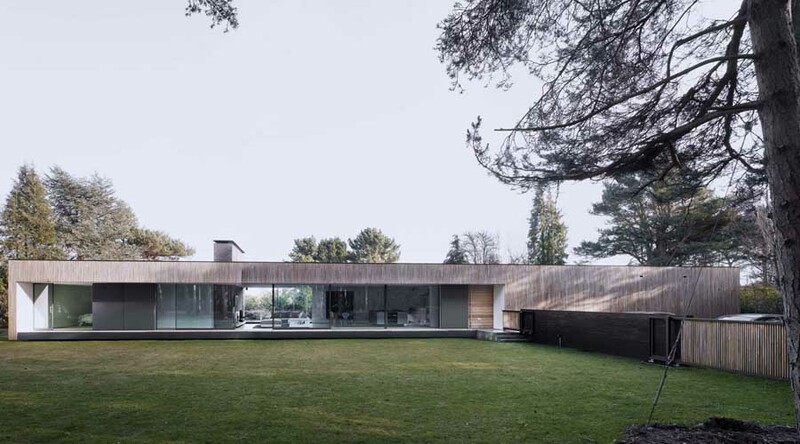 Central to the development of the master plan is the River Test, which was previously almost invisible, contained within a narrow high-sided concrete channel and largely covered over as the site had intensively developed over many years. 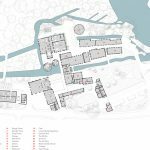 The river became the central organising device to make sense of the complex site and this accumulation of facilities. 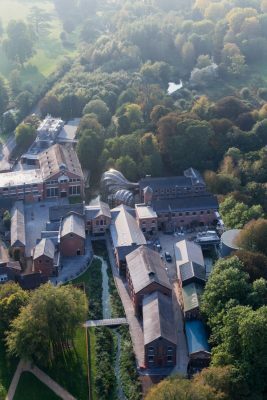 The river has been widened and its banks opened out and planted in order to transform it into a route that draws visitors through the site to a newly defined courtyard at its centre, surrounded by historic buildings. 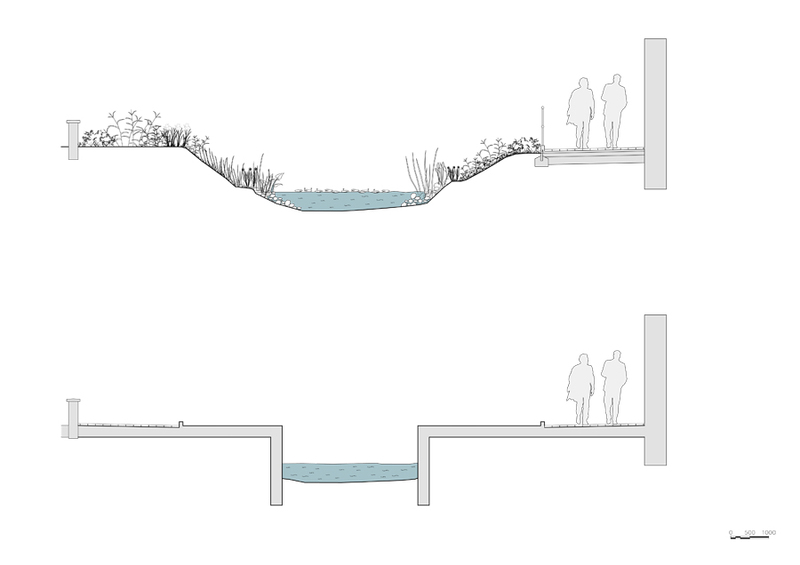 To make the water visible and valuable once more the river has taken on more than twice its original width and its banks reshaped with planted foreshores. 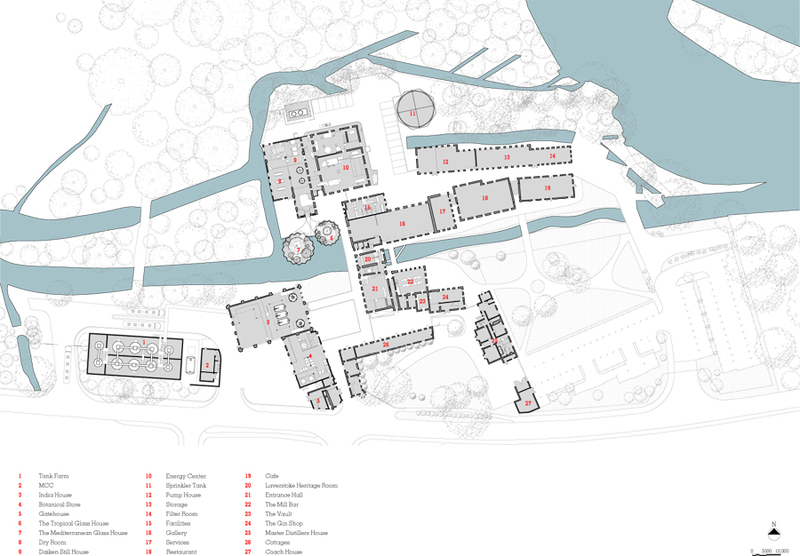 The original project brief included provision of a separate visitor centre. 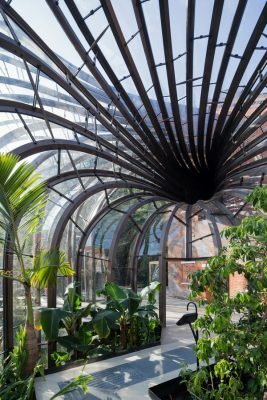 However the design team believed this not to be necessary, preferring to allow the public a more authentic experience by getting closer to the distillation process and seeing the sculptural copper gin stills in use. 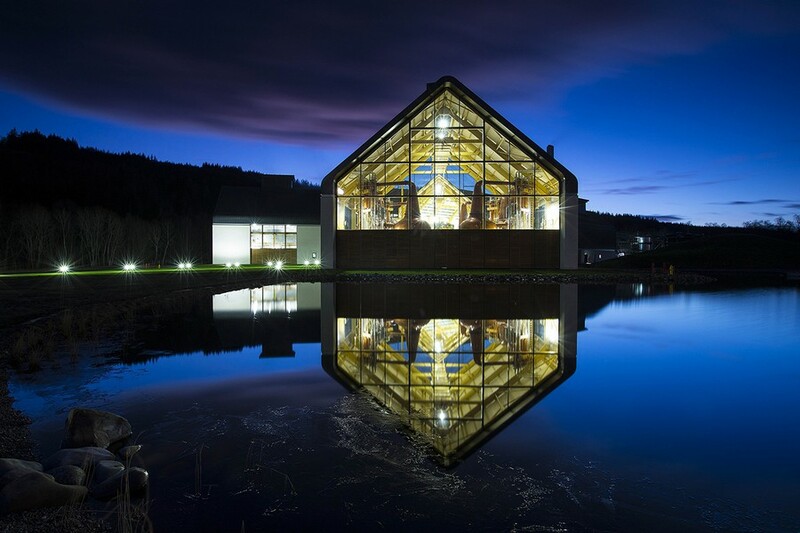 This new botanical distillery has achieved a BREEAM ‘outstanding’ rating for sustainability; the first facility in the drinks manufacturing industry to be awarded this rating. 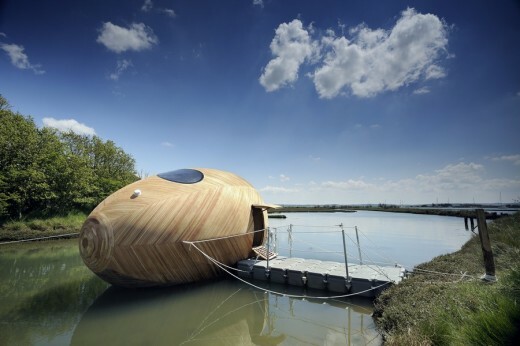 This is a wooden studio and artists home on the Beaulieu River in the New Forest.